We offer monthly classes in our Design Studio at our Menomonee Falls location. We offer anything from our Sassy Succulent Gardens, Fresh Floral Arranging, Whimsical Fairy Gardens, Holiday Centerpieces and Ladies Night Out. Grab a friend or come by yourself to enjoy your creativity. Check out our Facebook Page for our current class schedule under "Upcoming Events". Classes fill up fast so be sure to reserve your seat. Want to do something different with your ladies group? Enjoy a Girl's Night Out at the flower shop! The shop will be open for your group exclusively. We will serve refreshments while you relax and shop our giftware at special discount prices. We will begin with a tour of the shop and the history behind the building. In the class, we will learn the basics about flowers and get insight on the floral industry. We will create a hands-on floral design personalized to your group's taste that the ladies can take home and enjoy. The evening is about 1 hour long and includes all materials. Class fee starts at $35 per person; depending on the design you choose to. Please call for more information to set up your Ladies' Night. Bring in your Girl Scout, school or church group to get their hands dirty learning about flowers. We can customize the class for any age group. We will tour our historical building and learn the basics about flowers and the floral industry. 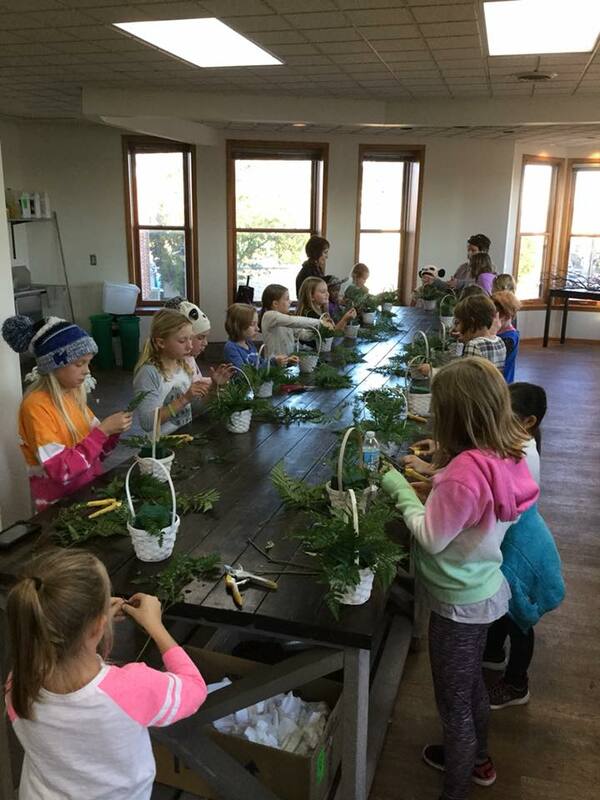 At the end of class, each child will create a floral design to take home. The class is $15 per person, includes all materials and is about one hour long. Please call for more information or book a date that will work for your group. *All classes must have a minimum of 10 people and about a maximum of 20 people.